We’ll be providing the Intec Digital stage at this years Dance Valley Festival, with our superb silver S5000 Tri. Dance Valley’s reputation as one of the leading European dance festivals since 1995 is bound to be further cemented by its 2010 offering, which promises to be a storming event all ’round. Artists include: Carl Cox, Cristian Varela, Umek & Marco Bailey… amongst “many” others. The single-day Dutch festival kicks off on Saturday 7th August. 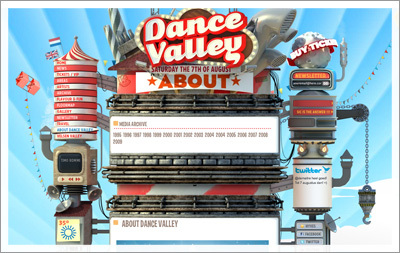 For more details check out the Dance Valley 2010 website.